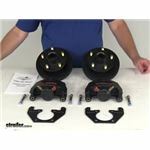 Kodiak Disc Brake Kits are corrosion resistant and offer a smoother ride. 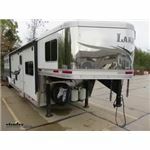 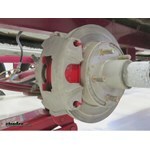 They are rated for 3500 lbs to 8000 lbs axles and are made of stainless steel or dacromet. 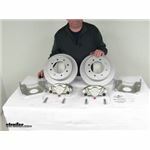 The hubs and rotors offered by Kodiak make it easy to change from drum brakes to disc brakes. 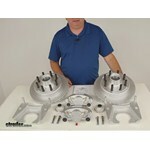 The hub-and-rotor assemblies are machined and balanced as one to ensure a smooth ride. 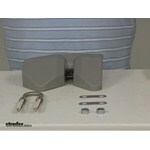 The Kodiak Boat Buddy Attachment System will make it much easier to trailer your boat. 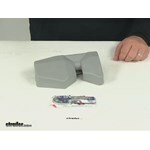 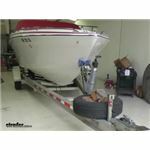 Drive it onto the trailer and the bow eye will trigger this automatic system to secure the boat to the trailer. 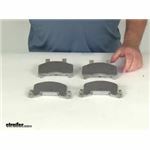 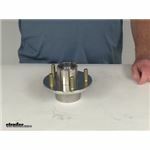 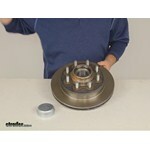 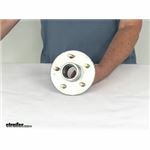 These bearing protectors are easy to install and are guaranteed not to leak grease. 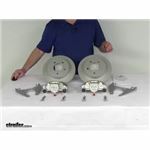 These will give your bearings longer life and come with a limited lifetime guarantee. 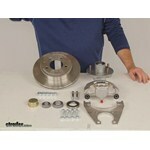 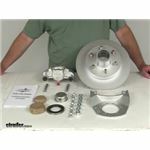 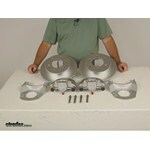 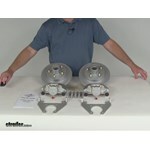 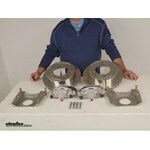 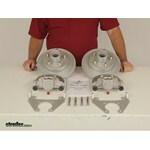 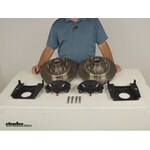 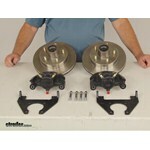 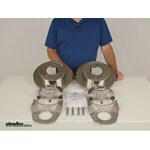 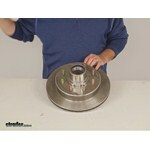 For your Dexter 7k axles the Kodiak Kit part # K2HR712D would fit and work well. 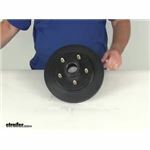 Your EZ lube grease caps from your current hubs will fit the hub/rotors and for bearings you would need # 25580 and # 14125A and then for the seal you would want the part # RG06-070. 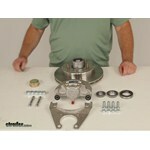 For a 9k Dexter axle we have the Kodiak kit part # K2HR958QD11 as a confirmed fit. 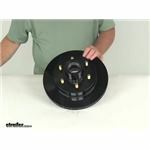 This also works with 17.5 inch single wheels like what you have as well. 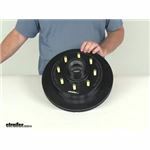 If you wanted an exact replacement for the hose you have we do have the part # 18018-SF available that would work well for you. 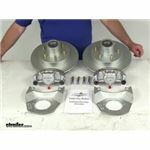 That being said the part # BH-3MFS90FF-1-5 you referenced has the same fitting size on both ends of 3/8-24 so it would also work for you. 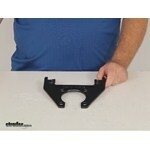 It's also the same 18 inches in length. 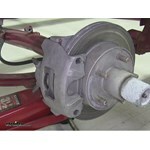 I am assuming that one of the axles has brakes and the other does not. 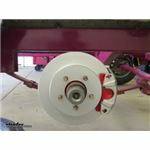 If that is the case and the axle that does not have brakes has idler hubs then you can use Kodiak kit # K2R1258L12 provided that the hub has an 8 on 6-1/2 bolt pattern and brake mounting flanges on the axle. 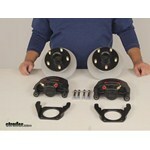 You will also need some addition brake line and related parts such as what is included in kit # 15SI-BLKIT. 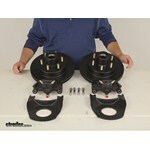 Or it may be more beneficial to go ahead and replace all the lines with a tandem axle kit # 24TA-BLKIT. 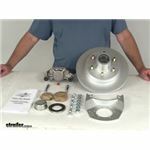 Can Dot 5 Brake Fluid Be Used with Rebuilt Kodiak 225 Brake Calipers? 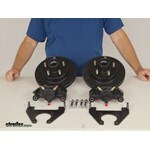 The mounting bracket for the 3.5K Kodiak disc brake kits is # KCMB10HRD. 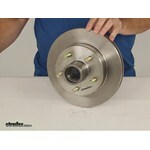 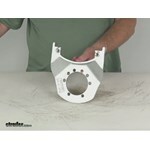 For the bolts to mount the bracket to the brake mounting flange use 4 of # 7-75 per bracket. 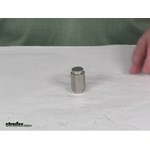 the matching nut is # 6-17 and the lock washer is # 5-8. 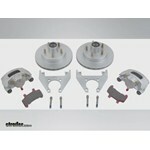 The Replacement Mounting Bracket for Kodiak Disc Brake Caliper # KCMB138HRDD is exactly what you are looking for. 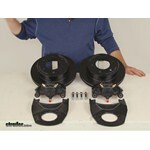 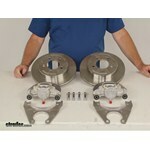 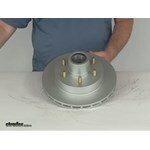 This is the correct mounting bracket for an 8k Dacromet Kodiak disc brake kit.